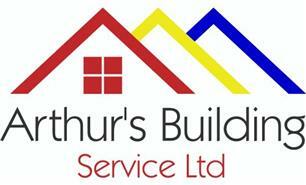 Arthur's Building Service Ltd - Bathrooms, Builder, Kitchens, Painter/Decorator based in Carshalton, Surrey. and more for residential and commercial premises. We provide free estimates and competitive prices and pride ourselves on providing excellent service from start to finish including assisting you in buying and transporting materials. We are fully insured for Public (£5m) and Employer Liability (£10m) Insurance and have a full Waste Carriers Licence. We truly value your custom and look forward to hearing from you.